I have been writing since I was a kid. My first very-short story was published in a local newspaper, Surabaya Post, when I was 11. This encouraged me to continue my writing, although I couldn’t write much because I was still in junior high school. I wrote only 2 stories at that time, published in local children’s magazine, Mentari (Mentari means the sun in English). I love to read since childhood because my parents gave me many books. While in high school and college, I just wrote for my school magazine and journal for our own circle. In fact, my parents did not really support me to become a writer. Perhaps they thought as a writer, I could not be rich. My educational background is animal health (part of veterinary medicine), but I keep writing for children because this is what I love since I was a kid. I write for early readers and older ones, and recently wrote about a child in a kindergarten who can not read yet, but he can draw. I’m still learning to write good children stories. I recently wrote two biographies, in Genius Kids series, at the publisher’s request. Writing biographies gave me a new experience, but I prefer to write stories and non-fiction articles on topics I choose. I have published six articles in national papers (Kompas, children section) about how to learn effectively, how to care about our senses, about plastics and its negative impacts on environment, how to live healthy with animals, why we should wash our hands with soap, and introduction to cashless society. All these are for older readers (10-12 years old). I have a passive knowledge of English, and I’m still practicing speaking it fluently. Basically I like to learn about languages, and I have translated stories and articles on my own since I was in high school. About a decade later, a publisher offered me to translate storybooks from English into Indonesian, and I was so excited. I have translated over a hundred books, some of them are teenage books. Reading so many stories on StoryWeaver give me much information and entertainment. I like to translate Indian stories written in English into my language, and I like to share my translations with my friends and colleagues. They like StoryWeaver’s stories, too. Some of them have contributed their original stories to the web. My friends have a free download e-book website, called SeruSetiapSaat (it means Fun Anytime in English). 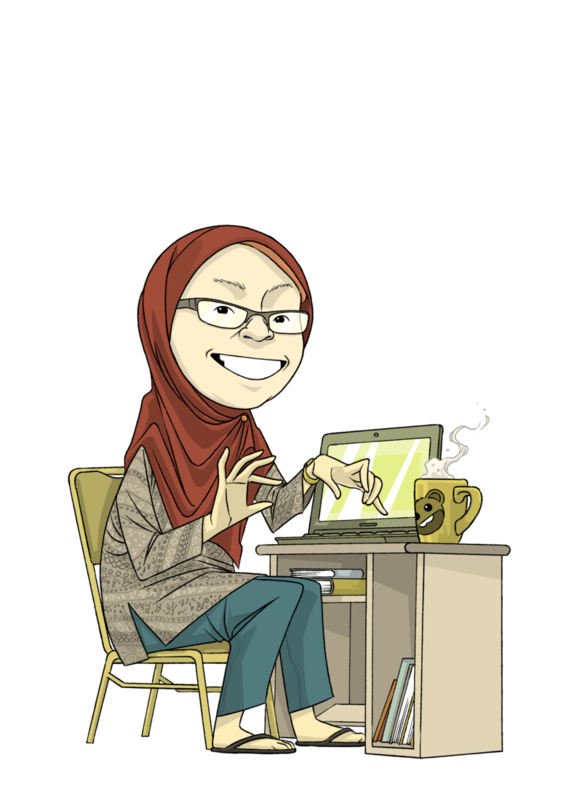 I am now waiting for my first picture book to be published on it, and after being illustrated, I plan to link it to StoryWeaver. Of course, I will translate it into English to be read by everyone:). 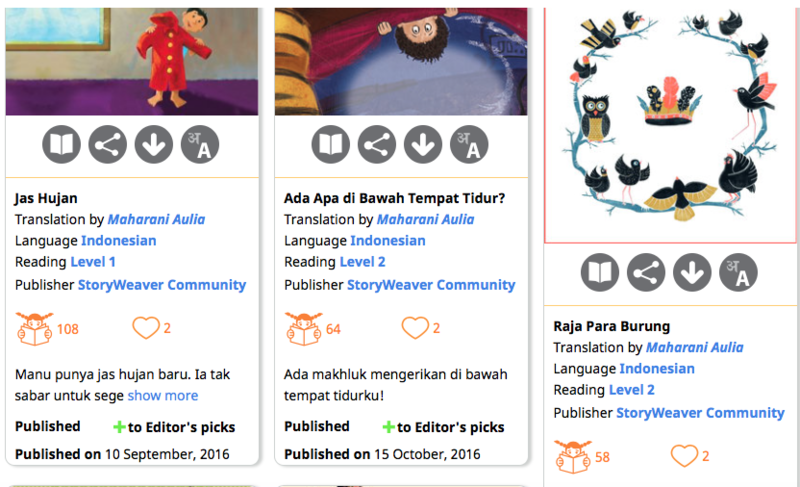 Maharani Aulia has translated 25 stories to Indonesian on StoryWeaver. You can read them here.